Freelancers are on the rise, growing from an unnoticed cog in the machinery of the labour force to one of its central gears. This is a fact experienced in daily work life by most people. Traditional workers increasingly find themselves interacting with freelancers as they send tasks out to external specialists, or sit next to temporary colleagues in the lunchroom. Dinner party job descriptions are peppered with references to independent and self-generated work. Companies are furiously commissioning reports on the “new way of work.” New businesses are springing up to service a growing market of solo operators. Yet despite this anecdotal experience, actually quantifying the growth of freelancing proves challenging. Hard numbers are hard to come by, and data that does exist is often poorly focused. At best, statistics on the freelance workforce are too broad, encompassing wide definitions that are unhelpfully generous. At worst, the data is outdated or non-existent: in some countries, freelancers are simply not counted. What data can be found is patchy but supports the anecdotes: the number of freelancers is already large and rising fast. In the United States, the lowest estimate puts freelancers at around 10 per cent of the workforce, while the highest estimate is 30 per cent. In Europe, the estimates range from between 4 per cent and 10 per cent. Globally, almost 25 per cent of active workers are assumed to be independent workers of one sort or another. There is no census or official study that expressly identifies the number of freelance workers separate from tradesmen, farmers and small independent business operators. There is a lack of a clear definition, resulting in diverging data across borders. The demographic is quite new, making it hard to compare with decades-old data sets. There is no set number of hours that must be worked in order to be considered a freelancer. Like entrepreneurs, many freelancers do not self-identify. And, in many countries, bureaucratic hassles and unfair taxation cause many freelancers to hide their status. The current situation is the result of an outdated understanding of labour, and a lack of communication between government agencies and institutions responsible for charting the workforce. Official structures erected in the post-war era have been altered little since. Motivation to overhaul bureaucratic categorizations is in short supply, given the complexities such rationalization would uncover. In at least one country, the failure to count freelancers was a deliberate decision made by a government agency on the basis of financial cutbacks. Until 2005, the United States’ Bureau of Labor Statistics collected useful data through the Contingent Work Supplement, an additional questionnaire added to the agency’s household surveys. The supplement was discontinued: the BLS blamed budget cutbacks. Despite campaigning by the Freelancers Union, and support from some federal senators, the budget was not restored and the demographic remains uncounted. Private research companies and a combination of other data sources are now used to estimate the size of the freelance workforce in the U.S.
A lack of reliable statistics harms the nascent freelancers’ movement as its various organizations attempt to mount claims based on their size. With poor knowledge of the size of their own cohort, or even the extent of its boundaries, freelancers are disempowered and robbed of a solid statistical base on which to stand. But this statistical vacuum also harms governments and businesses which, while cynically benefiting from a lack of a counted and cohesive freelance workforce, are damaged through the creation of policy and planning ignorant of demographic fact. Without any current or comprehensive official counts, it is near impossible to reach any number with exactitude. 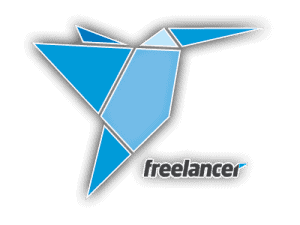 What is clear, however, is that the freelancer demographic is already significant, and is on a steady rise. This fact alone is enough to warrant engaging in conversations about the existing political and social structures that freelancers must operate within, which, if left unaltered, could have dire repercussions for individuals and society as a whole. Even without a set of reliable numbers, the uncharted growth of the freelancing sector around the world is already impacting the economic and social environment. Before attempting to count the number of freelancers in countries, regions or worldwide, it is important to determine the parameters of discussion. What exactly is a freelancer? Is there a difference between a freelancer and a contingent worker? Are entrepreneurs also freelancers? Are independent contractors included in the count? If so, does this include tradesmen, independent retail business owners, farmers and artists? Headcounts will vary greatly, depending on the accepted definition of a freelancer. There are name discrepancies, with different regions labelling their freelancers differently. 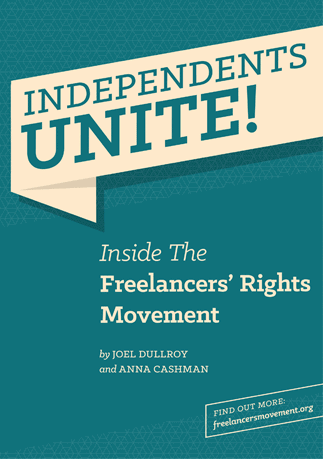 In the U.S., the term ‘freelancer rights movement’ is used alongside ‘independent worker’ and ‘contingent worker.’ European countries often refer to ‘independent professionals,’ as well as ‘temporary workers’ and ‘contractors.’ ‘Independent professionals’ are also found in Australia, alongside ‘own account workers.’ Globally and regionally, the term ‘self-employed worker’ is used as a catch-all, incorporating several categories of worker including those who might be excluded by narrower definitions. As well as regional variations of terminology, there are also vast differences within national borders and between government and administrative sectors. Organisations, corporate bodies and governmental departments engineer their own definitions, according to the research or discussions they engage in. Confusing and overlapping terminology does not affect the daily reality for those who exist beneath and between the various titles: they continue their independent work, regardless of what they are called. This situation does, however, present a challenge for the emergence of a cohesive, coherent movement of organizations determined to represent a clearly-existing yet hard-to-define demographic. A case could be made that the continued ignorance of workforce realities, and the lack of comprehensive terminology, will soon amount to official negligence, given the negative impact it has on effective policy formation, and the problems it creates for the individuals attempting to interact with official structures that do not understand or recognize them. The nonexistence of a universally recognised definition of the freelancer is a fundamental disadvantage for those who seek to affect existing labour structures and regulatory frameworks. It makes it difficult or impossible to focus discussions and identify policies or regulations that affect individual workers. It creates obstacles to painting an accurate socio-demographic picture, to be used in regulatory and economic analysis.